Their mission? Replacing batteries on the ISS. Cosmonaut Valentina Tereshkova was launched into space 55 years ago. She was followed nearly 20 years later by the second woman in space, Svetlana Savitskaya, who also did a spacewalk two years later. Now, nearly 35 years after Savitskaya's second journey, the first all-female spacewalk is planned for March 29, NASA announced on Wednesday. The space agency insisted it was just a coincidence that the date coincides with the last week of Women's History Month. Astronauts Christina Koch and Ann McClain will walk outside the International Space Station (ISS) as members of Expedition 59, on a mission to replace batteries installed last summer. There have been 213 space walks at the ISS since 1998 for the purposes of maintenance, repairs, testing of new equipment or science experiments, according to the U.S. National Aeronautics and Space Administration. 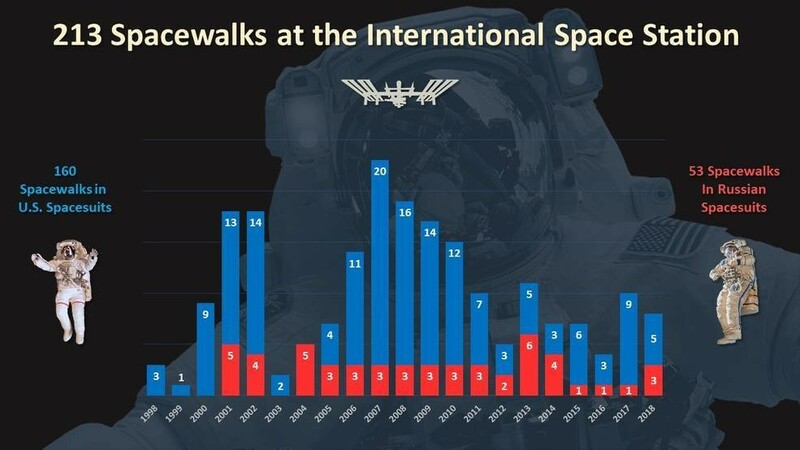 Less than 11 percent of the more than 500 people who have been to space have been female, and spacewalk teams have either been all-male or male-female. In the nearly 60 years of human spaceflight, this will be only the fourth time when expeditions included two female members trained for space walks. McClain and Koch were part of the 2013 NASA class that was 50 percent women. "It definitely resonates with women around the agency that we're at this point," Stephanie Schierholz, a NASA public affairs officer, told the Thomson Reuters Foundation. McClain is on the ISS, currently, and her Twitter posts with a stuffed toy Earth have garnered tens of thousands of retweets. Koch is due to lift off on March 14 for her first space flight. NASA estimated their walk will last about seven hours. While having the first women-only spacewalk was exciting, the more common sentiment around NASA was that it is more important that it not be the only one, Schierholz said. She pointed to the first African-American administrator, Charles Bolden, who said in 2016, "Being the first African American Administrator is all well and good, but I want to make sure I'm not the last."